Hospitals and GP surgeries are being urged to come together as a “national collective” to raise awareness of a short-term complication of diabetes. They are being urged to take part in Hypo Awareness Week 2017, which runs from Monday, October 2, to Sunday, October 8. Hypoglycaemia, also known as a hypo, happens when the blood glucose levels of people with diabetes drop too low and they can feel shaky, unwell and can even slip into a coma. The campaign aims to raise awareness of hypoglycaemia in the UK by educating healthcare professionals about the short-term complication of diabetes. 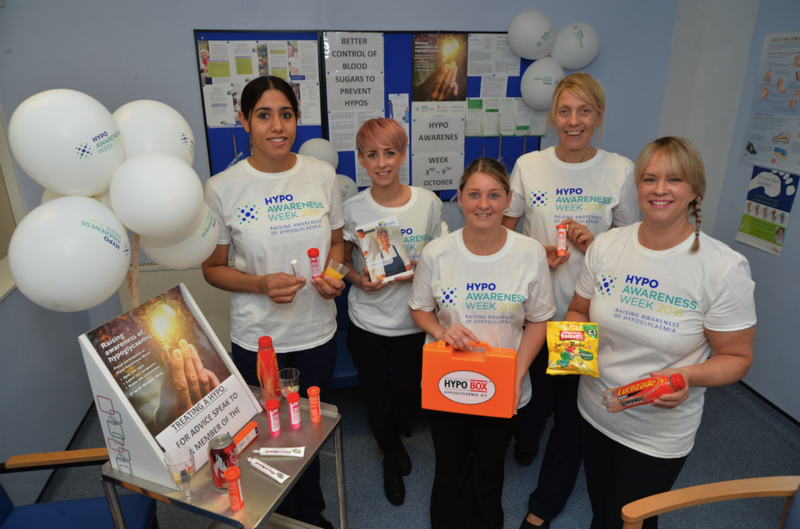 Last year, a total of 136 sites, mainly hospitals, across the country took part in Hypo Awareness Week. Organiser Oliver Jelley, of Orange Juice Communications, said: “Hypo Awareness Week represents an ideal opportunity for diabetes inpatient teams and GP surgeries to be part of a national collective, all coming together for one week of the year to promote awareness of hypoglycaemia and share good practice. Around one in six hospitals beds are occupied by a person with diabetes (17 per cent), according to the 2016 results from the National Diabetes Inpatient Audit1. Hypo Awareness Week has been taking place annually since 2012 and during this period the prevalence of all hypoglycaemic episodes in hospital has decreased by six per cent, according to the 2016 National Diabetes Inpatient Audit report (NaDIA)2. Latest results from the bedside survey indicate that hypoglycaemic episodes in hospitals, both mild and severe, have decreased from 26 per cent in 2011 to 20 per cent in 20163. Mild hypoglycaemia has fallen from 23 per cent in 2011 to 18 per cent in 20164, while severe hypoglycaemia has dropped from 11 per cent in 2011 to eight per cent in 20165. Participating hospital and GP surgeries will stage training events to raise awareness of the condition. Resources, including leaflets, guidelines and educational slides, will be used to help spread the word. This programme is organised by Orange Juice communications and has been made possible with the support of Sanofi, with the global life sciences company funding the campaign as part of its commitment to improve healthcare and help people living with diabetes enjoying a healthier life. Sanofi has no editorial control over its contents. 1.NHS Digital, National Diabetes Inpatient Audit England and Wales, 2016: Page 7. 2016. Web. 3 April. 2017. 2 NHS Digital, National Diabetes Inpatient Audit England and Wales, 2016: Page 14. 2016. Web. 3 April. 2017. 3 NHS Digital, National Diabetes Inpatient Audit England and Wales, 2016: Page 14. 2016. Web. 3 April. 2017. 4 NHS Digital, National Diabetes Inpatient Audit England and Wales, 2016: Page 14. 2016. Web. 3 April. 2017. 5 NHS Digital, National Diabetes Inpatient Audit England and Wales, 2016: Page 14. 2016. Web. 3 April. 2017.